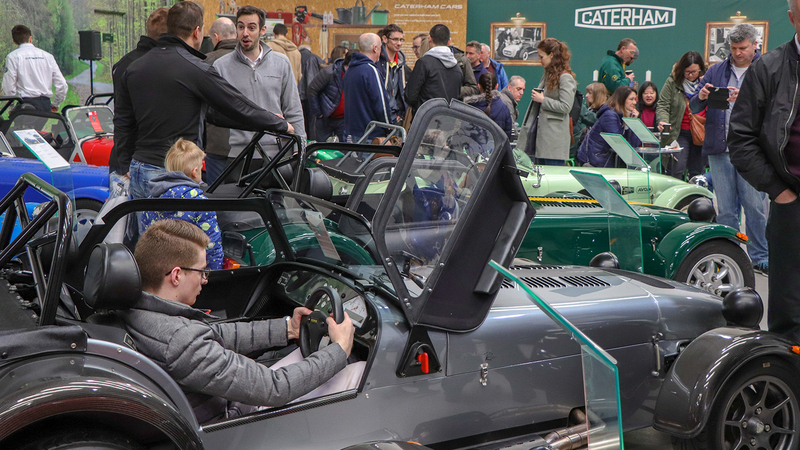 On Monday 22nd April 2019 our Gatwick Showroom will open its doors to Caterham Seven fans from around the world for our fifth annual Easter Open Day. 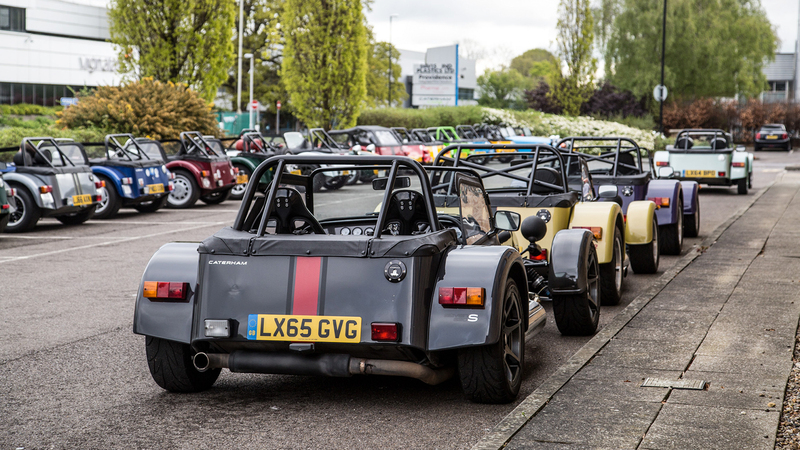 We are expecting over 500 visitors to congreggate at our West Sussex venue, and we’re encouraging owners to hop into their Sevens and join in the Bank Holiday fun. Visit our event page for the latest details. 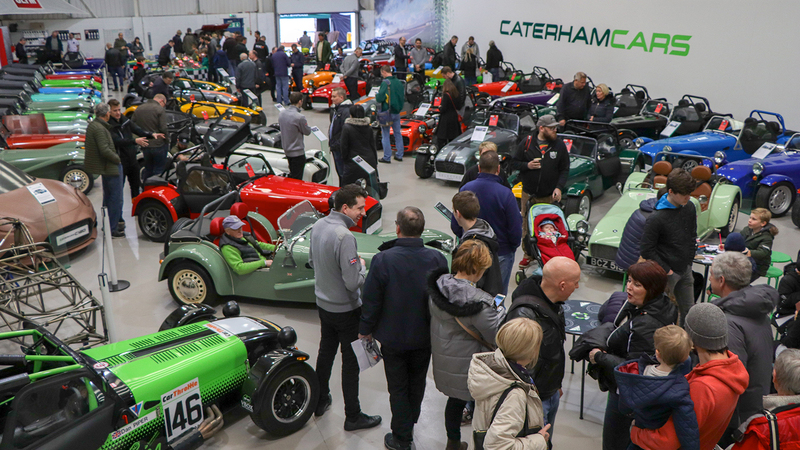 Doors open for the Caterham Easter Open Day at 9:00 am and will finish at 1:00pm, Seven owners will be able to park in the designated areas surrounding the showroom. All other vehicles are asked to park at the Vent-Axia car park down the road. However, parking does fill up quick – so be sure to get here early! We’ll have a variety of activities throughout the day for the whole family to enjoy, so it’s probably best we crack on and tell you more…. This is the only sale where owners can earn a discount on official Caterham parts and merchandise. From carbon dashboards to rear wings, tillet seats to t-shirts, the sale has it all. Items can’t be reserved, so it’s first-come-first-served. Make sure you arrive early, there may be a scramble to get your hands on the best parts. It wouldn’t be a Caterham Easter Open Day without a little competition. Friends and family will be able to settle feuds once-and-for-all on our two-person simulator. But don’t be a chicken, you’ll need to post the fastest time possible to receive a special prize. 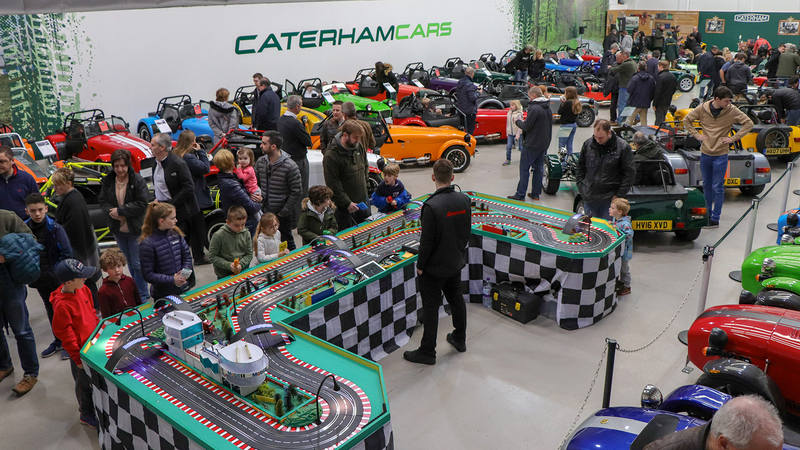 We’ll also be running a Giant Scalextric set, complete with miniature Sevens and a Batak Pro reaction system in the main showroom. Can you stay on the top of the leaderboard? Like we said, there is something for every bunny at our open day. To keep the kids entertained while you spec your dream Seven on our new configurator, Caterham’s Easter Bunny will be hiding Crème and Kinder eggs around the showroom. You’ll also find our Caterham Colouring Corner over by the refreshments table. For 2019, we have our full range of vehicles available for a test drive. From the 270, right through to the 420, you can get behind the wheel and understand what makes a Seven so special. A 620 will also be available and piloted by an expert Caterham driver, unfortunately we can’t have you haring off in a 310bhp track-focused supercar. Those interested can sign up through our Facebook Page. Spaces are limited, so jump to it and don’t whisk being left behind. 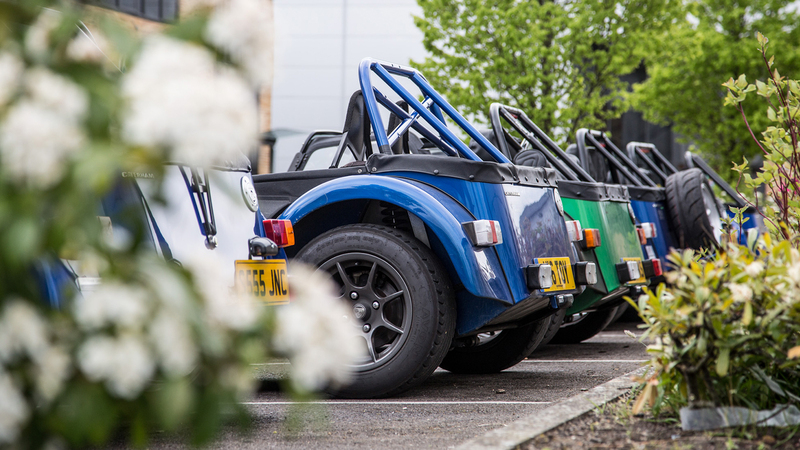 Have you recently purchased a Seven, or maybe you want to find out a little more about your beloved Caterham – why not ask the Archivist? Our resident Archivist, who is an eggs-pert on all things Seven, will be on hand to answer any questions you may have. There will be plenty of Seven’s on display throughout the day for you to hop in and out of, along with a handful of concept cars and iconic Sevens including the R500 which rocketed to the top of the Top Gear leaderboard, and the legendary LEGO CAT 620R. This year we are also introducing a new ‘Motorsport Zone’, featuring cars from each of our championships, plus a rare Caterham SP/300R and possibly an appearance from our recently refurbished CTO1 Formula 1 racer. This area is weather dependent, so let’s hope things stay sunny side up. So, why not hatch a plan with your friends and family, hop into your Seven, get the wind in your hare, and lettuce entertain you at our Easter Eggstravaganza. ….we have so many Easter puns, it’s not even bunny. We aren’t yolking.